Steeped in Indian history, Uma’s Ultimate Brightening Face Oil showcases the extravagance and opulence of rose in all its glory. Silky smooth and intoxicatingly scented, this stunning elixir has a texture reminiscent of rose petals – and the elaborate robes worn by Indian royalty, for whom pure rose oil was a precious indulgence. Delicate yet intensively nourishing, this triple-action brightening blend is rich in sandalwood – renowned for its ability to promote flawless skin and regulate the body’s limbic function – alongside essential oils of frankincense, orange and neroli, to stimulate cellular turnover, encourage regeneration, diminish tell-tale signs of fatigue and promote a more even and luminous skin tone. Rose oil – one of the most difficult to extract – possesses phenomenal moisture-retaining properties – while its mild, astringent action reduces redness and enhances radiance, to leave skin glowing with health and vitality. A celebration of creator Shrankhla’s aunt Uma, these stunning, home-grown treatment oils are all about simplicity, integrity and equilibrium, and are virtually unparalleled in their purity and efficacy. Harnessing the skin, and sensory benefits of some of the world’s most powerfully healing plant extracts, each exquisite ayurvedic and aromatherapeutic elixir is 100% natural and organic – grown, distilled, formulated and bottled in small batches at a lush family estate in India – to exhibit a remarkable skin-strengthening and spirit-lifting impact. Responsible for supplying some of the skin care industry’s most recognised brands, Uma’s Face and Wellness Oils work synergistically to bring unprecedented balance and vitality to skin and mind, and promote lifelong, lasting beauty inside out. Every morning and evening after your cleansing routine, massage 2-3 drops between your palms, and gently pat your face in firm circular motion all over your face, neck and décolletage. This may be used on its own or as the final step in your moisturizing routine. Uma recommends use in conjunction with our Pure Rest oil for night or Pure Energy oil for day to ensure complete wellness of both your skin and mind. Tip: Each drop of this luxuriously light oil spreads generously across your skin, so you only need to use 2-3 drops at a time, and can expect a 1 oz. bottle to last 3 months or more. Rose Essential Oil, Neroli Essential Oil, Sandalwood Essential Oil, Lavender Essential Oil, Frankincense Essential Oil, Ylang Ylang Essential Oil, Geranium Essential Oil, Orange Essential Oil and Clary Sage Essential Oil in a Pomegranate oil base. This is expensive but the results are worth it. I have extra dry skin so use oils morning and night. I use this in the morning and my skin is glowing as a result. It’s got rid of some pigmentation that I had on my cheeks and my skin is baby soft. I will definitely be repurchasing. I used to use this at night because that's when I normally use oils, however I have been using it in the day time instead for about a month and LOVE IT. It absorbs right into the skin and leaves me glowing and looking very healthy. Looks stunning underneath make up too and doesn't clog my pores. A totally must have for all ladies out there! 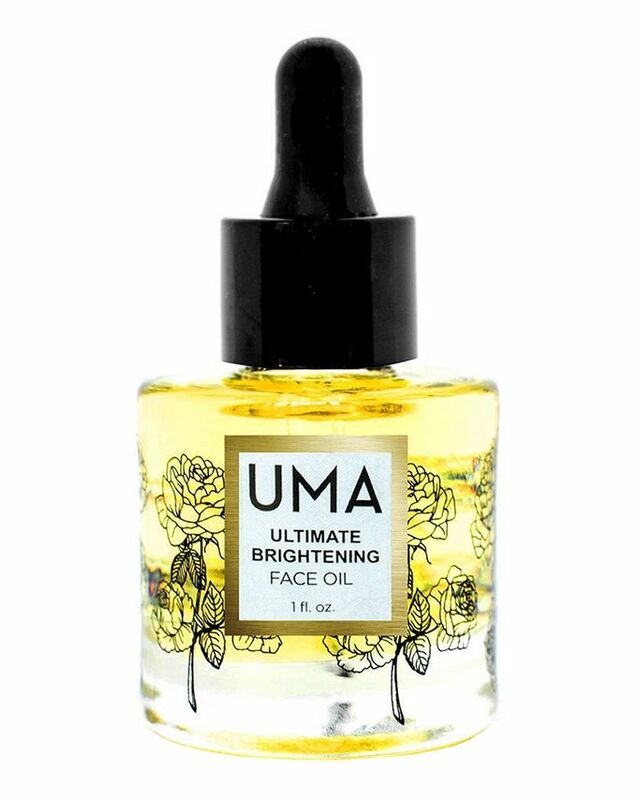 I really wanted to have a brighter skin because I feel that it is attractive and UMA Ultimate Brightening Face Oil really does its job and made my skin brighter. The longer I use it the more it gives me the result that I wanted. A totally must have for all ladies out there! I couldn't be more impressed! Uma oils are fantastic...save ur money and invest in these oils and thank me for it! After trying their deeply clarifying oil that I was using at night (not very much recommended at day time in hot humid weathers). I thought to give this ultimate brightening oil a try for morning's use and Oh My GOD this blew me away! My skin is less oily...yes an oil that makes ur skin less oily...believe it it's a fact! This gave me a deeply hydrated radiant skin and my foundation looks more flawless..hundred times better than using a primer underneath. Can't recommend it enough! This oil is magic. The smell is fantastic, the quality of the oil is amazing and so velvet soft and after only a weeks usage I can see my skin is transforming. Addicted now!!! Please stock more of their products. No foundation needed ever since I bought this wonderful oil! It brightens my face and enhances radiance as promised, and I could see the result from my first use. I'm going to buy their "Absolute Anti Ageing Face Oil" soon. I'm so glad I bought this ... No Regrets!! I only use oils at night and this one is probably my favourite, it totally brightens up my skin and gets rid of any redness. Totally would repurchase it if the price wouldn't be so high. I wanted to try this as I have blemishes left over from a recent break out. I wasn't too sure if this would work but was I mistaken. After two weeks of use, I really did see a difference. My skin was much brighter and luminous! You do need much as little bit goes a long way! This is a product doesn't just affect your skin but your mood as well. When you apply this oil it really helps you to stop and take time to just breathe. Trust one I say it is worth the investment! Loving both this oil and the Ultimate Anti Aging Oil for the last few months....these oils absorb into my skin quickly and leave it plump and soft! And I really love the ingredient lists on every one of their products, more companies need to understand that some of us are google ninjas who care what we are putting on our skin. Thanks to Uma and Sunday Riley I have gone somewhat oil crazy and Im never looking back! 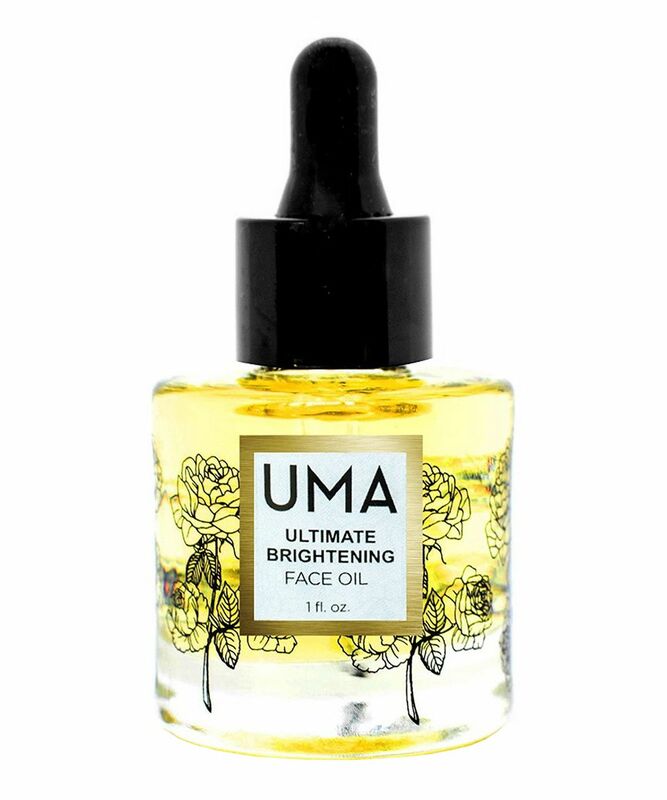 I was given a gift set of Uma oils while visiting family recently and this is truly a flawless product. You can tell from first use that the ingredients are top notch and that the oil has been created with a lot of care. I have seen great results in two short weeks - I'm getting many compliments at work. I highly recommend this product - wear it under make up and see how you glow!